Double Chance - What Does It Mean? 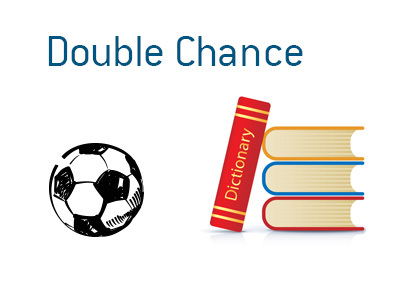 What is the definition of the term "double chance" in the world of sports betting? With a "double chance" line, a sports book allows you to choose two of the three possible outcomes and sets odds on each of the three groupings. So, if you believe that Germany will win, though there is a chance that the Ukraine will be able to keep things close, you may want to go with the "Germany or Draw" line at 1.11. The "double chance" line gives you a better chance of winning, though you "pay" for the line in the form of reduced odds. In the case of the game listed above, for instance, Germany is 1.57 to win outright. So, if you believe that Germany will win, you will be much better odds taking them at 1.57.